San Diego is full of military life with roughly 95, 000 uniformed military personnel assigned to a variety of units and commands in the area. Navy and Marines make up the majority of the military presence here. There are seven major bases: Marine Corps Air Station Miramar (MCAS Miramar), Marine Corps Base Camp Pendleton, Marine Corps Recruit Depot San Diego (MCRD San Diego), Naval Base Coronado (NBC), Naval Base Point Loma, Naval Base San Diego, and U.S. Coast Guard Station San Diego. Marine Corps Air Station Miramar is located on San Diego’s northern edge, about 13 miles north of downtown San Diego in a neighborhood called Miramar. Most of Miramar’s residents live on this base. MCAS Miramar was actually used by Navy and Marines for advanced pilot training during World War II. Now, it is the home base for the 3rd Marine Aircraft Wing. The residents of the Marine Corps Air Station attend schools in the San Diego and Poway Unified School Districts. There are six elementary schools, two middle schools, and two high schools serving the communities on base. However, if you prefer a different school, you can apply for Open Enrollment. If you’re looking for something to do on base, you’ll be happy to find:three full-service fitness centers, restaurants, clubs, The Barn Center Annex, The Great Escape recreational facility, a library, Mills Park (softball fields, horseshoe pits, volleyball court, basketball court, etc. ), the Teen Center, Youth Center, as well as other activities and amenities for military members and their families. The base is small, but right outside of the base, there are countless activities to enjoy and places to go. Nearby, you’ll notice plenty of hiking opportunities at parks such as:Torrey Pines Natural Reserve, Mission Trails Regional Park, San Clemente Park, and Tecolote Canyon Natural Park; with Mission Trails being the longest drive at 25 minutes away; You’ll also find incredible beaches like La Jolla shores (with tide pools for children to explore), Mission Beach, Pacific Beach and Ocean Beach. Lake Miramar is just ten minutes away as well, with a five mile trail that wraps around the lake for walking, running, biking, or skating. The park offers a concession stand, bathrooms, a picnic area, boat launch, watercraft rental, and portable bathrooms along the trail. Miramar Memorial Golf Course is an 18-hole golf course located right next to MCAS at a short walking distance. Shopping and dining options border the base and just three miles down the road is the Westfield UTC Mall. Marine Corps Base Camp Pendleton is located in north San Diego county, in the city of Oceanside. Camp Pendleton is the Marine Corps’ top amphibious training base on the west coast. The base provides amphibious training and sea-to-shore training along several miles of pacific coastline. Year-round training is given to Marines on Camp Pendleton. Recruits from the Marine Corps Recruit Depot in San Diego spend a month at Edson Range receiving field training. After graduating from their recruit training at MCRD, Marines return to Camp Pendleton to further their training in the school of infantry. The 5, 796 acres of land on this base are split up between Camp Pendleton North and Camp Pendleton South. The majority of residents are located in the south near the main gate and Oceanside. Where you live on base determines what school(s) your child(ren) will attend. The school districts serving Camp Pendleton are Oceanside Unified School District, Fallbrook Union Elementary and High School Districts, and Capistrano Unified School District. There are so many things to do on and around Camp Pendleton. South of Camp Pendleton, enjoy LEGOLAND and the SEA LIFE aquarium in the neighboring city of Carlsbad. Make your way down to San Diego if you’re up for the drive. It’s roughly 45 minutes away and has so much to offer. East of Camp Pendleton, you’ll find Bates Nut Farm, Temecula Wineries, and a hilarious murder mystery dinner show called The Diner Detective. In the north, you can find ZOOMARS Petting Zoo, Irvine Park Railroad, Aquarium of the Pacific, Knott’s Berry Farm, Disneyland (about 1.5 hours away, but it can’t be left out), and more. If you want to stay pretty close to home and you live in the southern part of base, head to Oceanside pier or harbor! At the end of the pier is Ruby’s Diner. Enjoy a meal with family or friends right above the Pacific Ocean. Downtown Oceanside has tons of shopping and dining as well as the movie theater walking distance from the beach at Oceanside Pier. The Oceanside harbor includes several delicious seaside restaurants and shops including Joe’s Crab Shack, Harbor Fish and Chips, Rockin’ Baja Lobster, Nana and Pops Sweet Shop. There are boats, kayaks, and paddle boards for rent at the harbor as well. The Marine Corps Recruit Depot is responsible for the initial training of all new male recruits that reside west of the Mississippi River. Over 21, 000 recruits are trained annually. The 13 weeks of training adapts these new recruits to the Marine Corps lifestyle and is more commonly known as “boot camp”. Marine Corps Recruit Depot lies between the San Diego Bay and Interstate 5, alongside the San Diego Airport. This base is also home to a drill instructor’s school for the Western Recruiting Region. The U.S. Coast Guard has a presence on this base with their Pacific Area Tactical Law Enforcement Team and their Maritime Safety and Security Team. Naval Base Coronado is located in Coronado, also known as Coronado Island. NAB provides a shore-based platform for aircraft carriers, SEAL teams, several helicopters, and many other ashore and afloat commands. Naval Base Coronado consists of eight Navy installations. This base is relatively large, stretching from San Clemente Island (70 miles west of San Diego) to Camp Morena and La Posta Mountain Warfare Training Facility (60 miles east of San Diego). Over 27, 000 military and civilian men and women are employed on this base. U.S. Navy SEALs train and headquarter here on the Naval Amphibious and Naval Air Station bases. NAB is home to the west coast base of operations for SEAL teams and Special Boat Units and Navy’s special boat units as well as the Navy’s special and expeditionary warfare training. The school districts serving Naval Base Coronado’s residents are the districts of Coronado and San Diego. If you live in Coronado, your child will attend school in the Coronado Unified School District, and if you live in the city of San Diego, your child will attend school in the San Diego Unified School District. 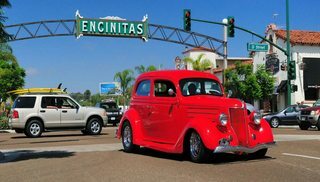 Coronado is a family-friendly island town in San Diego with incredible beaches, a dog beach, a bridge over the water taking you to the heart of San Diego, parks, great food, a gorgeous library Lamb’s Players Theatre and so much more. If you want to explore the heart of San Diego, downtown is just a 20-minute drive from base, and there are vast amounts of things to do in the city. Point Loma is also a neighborhood in San Diego that has accommodated a military base. Naval Base Point Loma hosts leading fleet activity along with support to float, and shore commands to ensure maximum fleet combat readiness. This base takes up approximately 1400 acres of land and is the only peninsula in the San Diego area that guards the surrounding waters. It is home to the port’s seven submarines as well as the support services for them. All of the submarines are nuclear powered and have incredible range. They are also equipped with missiles that are prepared for use in a surgical attack. This base is just 30 minutes from Naval Base Coronado, ten minutes from the San Diego International Airport, twenty minutes from downtown San Diego and the San Diego Zoo, and ten to fifteen minutes from Ocean Beach. There are 21 schools that serve this base, and they are split up into three “clusters”. These include the Point Loma High Cluster, Mission Bay High Cluster, and the La Jolla High Cluster. All of these schools are part of the San Diego Unified School District. SDUSD is the eight largest urban school district in the United States and is California’s second largest school district. There are about 132, 000 students educated under SDUSD in 228 schools and educational facilities. About 13, 000 of those students are connected to the military in some way. Naval Base San Diego, known as 32nd street, is the west coast’s largest military base. It is also close to Naval Base Coronado at only ten to fifteen-minutes down the road. There are over 50 ships, 120 tenant commands and 13 piers stretched over the base, and it is the primary homeport of the Pacific Fleet. Naval Base San Diego is also responsible for Commander, Navy Region Southwest, Naval Facilities Engineering Command Southwest, Naval Medical Center, and Admiral Baker Golf Course. Ten different school districts serve NBSD. Some of these districts are:Lakeside Unified School District, Santee School District, Lemon Grove Unified School District, and Cajon Valley Unified School District. With downtown San Diego just ten minutes away, the amount of fun you can have here is endless. Drive to the zoo in ten minutes. There are many great places to enjoy close by, such as:Balboa Park, Little Italy, Old Town, Seaport Village, Waterfront Park, etc. San Diego has so much to offer. This base is just 30 minutes away from Tijuana, Mexico even! Plan a trip across the border to explore, or just to be able to say you’ve visited Mexico. The U.S. Coast Guard Station in San Diego enforces the Federal Law from the United States border with Mexico to as far north as San Mateo Point by north Camp Pendleton. The Coast Guards ensure Homeland Security by escorting every cruise ship and some Navy assets as they enter and leave the San Diego Bay. Another great military instillation in San Diego is the Naval Medical Center, also known as “Balboa Hospital”. This is one of the Navy’s largest medical centers; serving active duty military personnel, dependents, and veterans in the area. This hospital was built in 1917 and has been playing an important role the area for over 80 years. There is also a school on site to train enlisted medical personnel. • San Diego Zoo and Safari Park – Free 1-Day pass for active duty, cadets of their respective academies, and reserves. • Seal World – Free admission through the “Waves of Honor” program. • Birch Aquarium takes $2 off each admission ticket. • Delmar Racetrack gives free stretch run admission to active duty military and dependents. • San Diego Air and Space Museum gives free admission to active duty and $3 off for veterans. All of these bases, installations, and perks come together to make San Diego a thriving community that is very welcoming to military service members and their families.